The BuildLock Knockdown ICF System is a high-performance knock-down insulating concrete form (ICF) wall system. 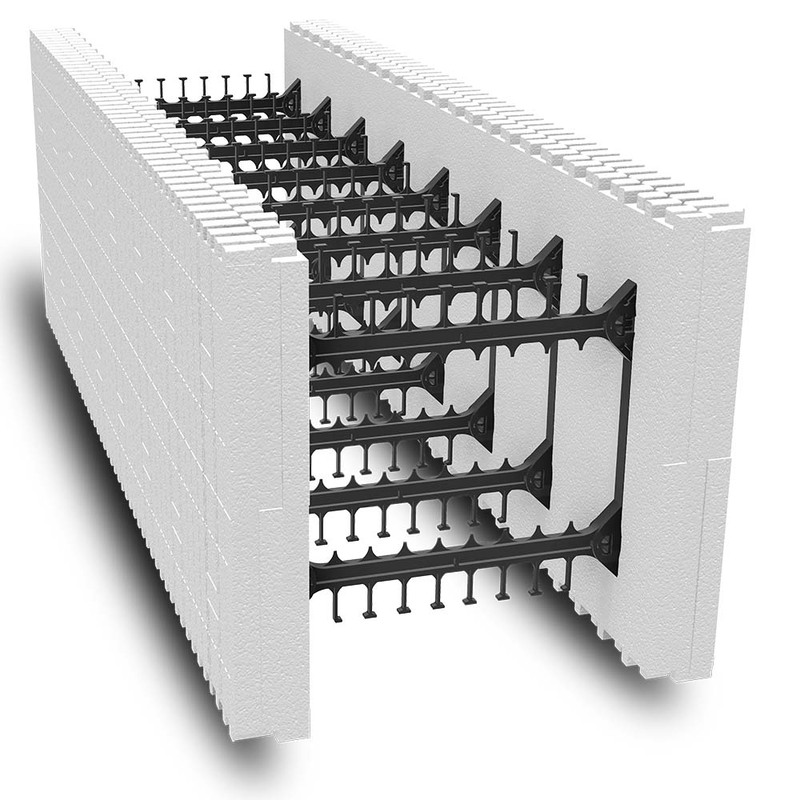 The BuildLock Knockdown Insulating Concrete Forms is a system that is comprised of two separate 2½ inch Expanded Polystyrene (EPS) panels which are connected by strong, high-density plastic webs on 6-inch centers. BuildLock is the strongest knock-down product on the market today. 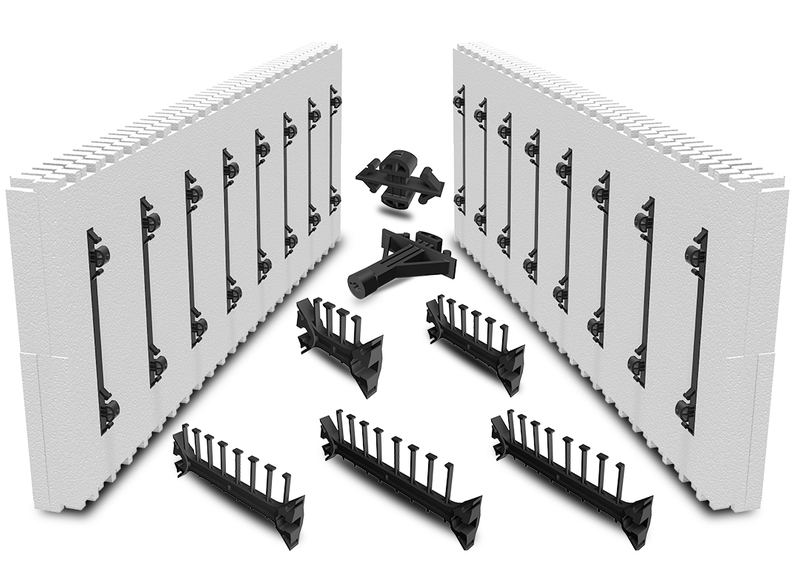 Each web bridge features a 3-axis positive locking attachment that snaps the web securely in the proper position to eliminate racking and provide superior structural stability throughout the construction process. 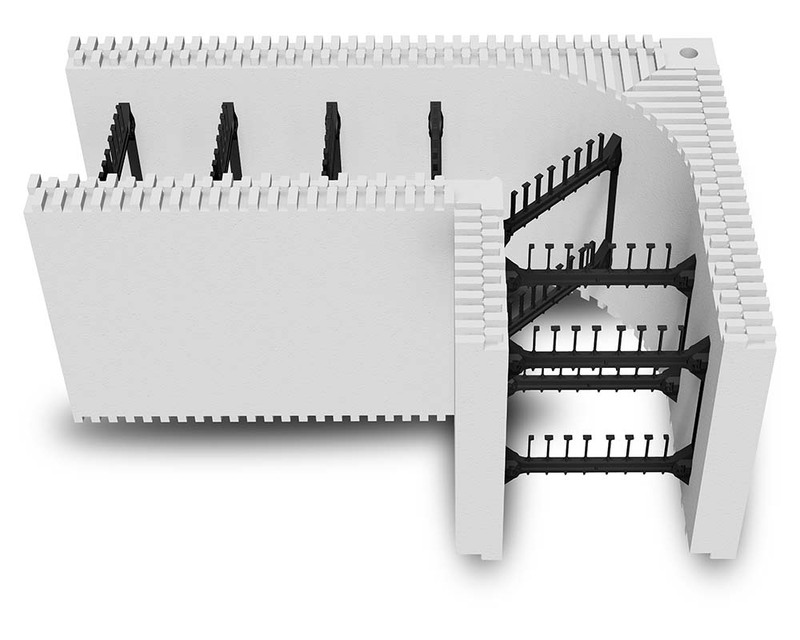 The BuildLock Knockdown block exceeds even the superior strength of BuildBlock ICF blocks. Available in 4”, 6”, 8”, 10”, 12” or greater core widths. BuildLock’s patented web is the strongest web on the market. Double-reinforced corner webs on 10” and 12” forms for safer pours and more attachment points. Expandable core for larger sizes (24”+) with optional bridge connectors. Blocks ship flat to reduce shipping costs and increase product storage capacity. Larger rebar saddles for multiple rebar sizes. Reinforced web flanges for additional strength. Completely reversible webs for multiple rebar locations and 8” horizontal spacing. Connect multiple webs for special construction needs such as pilasters. Use BuildBlock Hardwall to create an ICF wall with bare concrete on one side. Commercial ICF block for projects requiring 4” to 12”+ concrete cores. Patented strongest ICF web design on 6” centers. Build 4”-24”+ walls using optional bridge clip connector. Integrate pilasters into ICF walls. 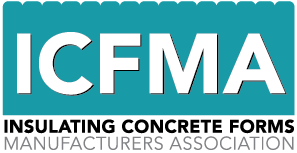 Create insulated footings and foundations. Designed to easily allow 8” horizontal rebar spacing in large commercial projects. Tilt up & retrofit insulation applications. On-site assembly for integration of pre-set penetrations such as blast-proof door and window frames. Fully reversible blocks and webs. 1-inch and horizontal cut lines every 2-inches. Tight interlocking blocks with 100% surface-to-surface connections eliminating costly ties and accessories. High-Density Plastic Webs with 2 Extra Heavy Duty Attachment Points (450lb.+ pullout) on each web. Form and insulate in one step and use any finish application including BuildBlock Hardwall. 4-hour fire rating and low sound transmission. Fully integrates with all other BuildBlock ICF Products. Learn about the strongest ICF knockdown product on the market today. The BuildLock Knockdown brochure covers important benefits, product sizes and technical information about the system. NOTE: 4in–8in corners use existing dedicated BuildBlock corners. Reversible corners for left or right stacking; longer length in both directions eliminates the need for additional strapping during installation and concrete pour saving time and labor as well as many additional attachment points. The webs also serve as furring strips for interior and exterior finishes with a pull-out strength of 150 lbs. These furring strips include hard points with a pull-out strength more than 450 lbs. 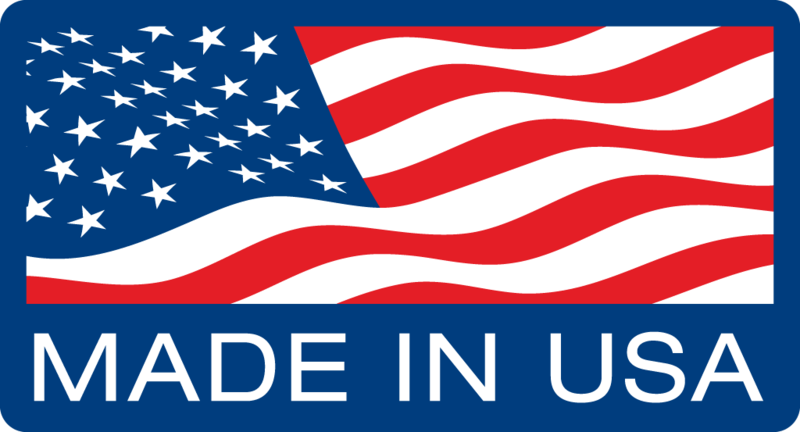 and are easily identified by molded-in markings on both sides of the form.